Heat olive oil in a large nonstick skillet over medium-excessive warmth. Rinse chook and dry very well. Clean out the bird cavity. Using the cope with of a wooden spoon, carefully insert it underneath the pores and skin, starting at the neck. Slowly separate the skin from the beef without tearing thru the skin. Set aside. In a small bowl, combine butter and lemon pepper; mash and mix with a fork until completely integrated. Rub the organized butter below the skin, across the whole chicken, out to the thighs and legs, and on top of the skin. I locate it less difficult to spoon a big chew of the butter under the pores and skin; then I use my palms to spread it around through rubbing the bird on top. Add chicken to the skillet and cook eight mins in line with side. Pierce the lemon all over with a fork and area it inside the cleaned out hollow space. Combine lemon juice, honey and orange juice in a small bowl; whisk nicely. 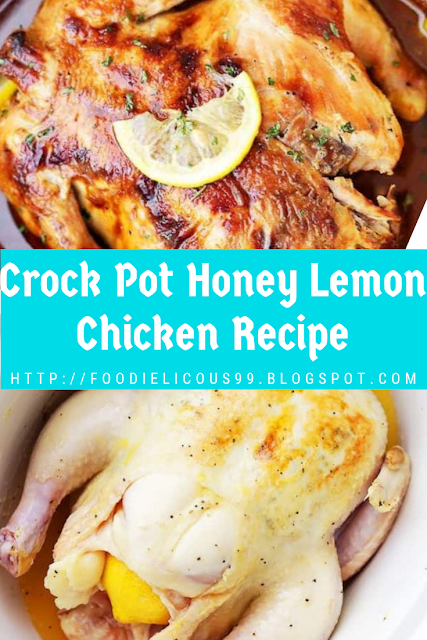 Transfer hen to the crock pot, pour the prepared honey sauce over it, and cook on LOW for six to 7 hours, or on HIGH for 4 to five hours. Carefully put off the lemon from the hollow space and squeeze the juice out everywhere in the chicken. 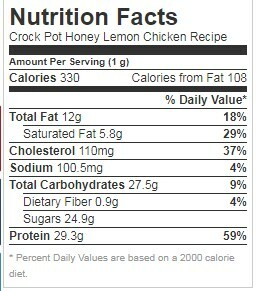 FYI: Servings are based on hen with out pores and skin. 1 complete chook with skin removed is, on common, about 750 calories.